Now hold on a second.. Socks? Is choosing athletic socks important for real, or it’s just another trend going on? Well, as socks became more and more popular in the fitness world, I got wondering if they’re really important or they’re becoming popular just because of fashionable reasons. Knowing there are athletic socks starting from $2 to up to $50 a pair, I got wondering are socks really that important? Can a pair of socks really make a difference in the overall athletic performance? So, in the name of clearing out this sock mystery once and for all, I decided to do a little research by investigating different types of workout socks to see if I can really tell a difference. To do this I got 14 different pairs of socks, with different kinds of materials, shapes, cuts and cushions. However, I went for just one brand, a high quality one with average price $12 a pair, and one of the cutest designs ever – the Bombas socks. My main goal was to see if I can personally tell a difference between these different kinds of socks, and if the “best athletic socks” phrase was a real thing or it’s just a myth. I got to some pretty helpful advice too, and facts that will definitely change the way you think about socks. We all take socks for granted and that’s a fact. They’re probably the last thing that crosses our mind whenever buying active wear. And it’s true, this hype that goes around athletic socks seems a bit confusing, however choosing workout socks isn’t just for fashion. In fact having the right workout socks plays a huge part in maintaining healthy feet while working out. Workout socks may not affect your athletic performance directly (wearing the right socks won’t make you lift heavier), but they can definitely make working out feel easier. Choosing workout socks is super important for comfort, support, softness and sometimes even preventing injuries, that can leave you out of the gym for weeks. Let’s take running as an example. As you probably already know I run half marathons and after trying it out with specialized running women’s athletic socks this year, I realized why they’re important in the first place. That annoying seam running across the toes, almost every regular sock has, is actually responsible for blisters, pain and discomfort. And I always thought that my running shoes were the one to blame, when actually the reason for my humble feet was all about those socks. If your socks are too loose, too tight, or they are made out of the wrong material, you are more likely to have uncomfortable friction that can cause blisters, sores, and sometimes even foot fungus. As working out isn’t hard enough already. The truth is, your feet are stuck inside your shoes all the time, which keeps them away from the air necessary to keep them and your whole body cool and dry. That’s why it’s really important to find socks that fit best for you and ones made out of a fabric that will wick the moisture away while keeping your feet dry and cool. Since nowadays the possibilities are endless, I decided to pack a short guide and help you go for the right pair whenever shopping for socks. What To Look When Buying Women’s Athletic Socks? Now, here’s a short guide I packed for every one of you girls out there who needs help in understanding what’s best for you. Cotton is used in textile manufacturing since forever and it’s one of the most widely used materials. Also, cotton is known for its soft and comfortable nature, and has a great ability to absorb moisture. Now, while this feature is ideal if you are buying yourself a towel, it’s not the most suitable fabric for athletic gear, especially not when it comes to socks. Cotton socks tend to absorb the sweat and hold it next to the skin. And once they get wet they’ll stay wet, which causes them to lose their shape, which leads to friction against your skin and irritation that makes the best home for pain and blisters. That’s why regular cotton socks are known for being one of the top causes of blisters on the feet. So, the majority of nowadays “high tech” socks are made from combinations of cotton with polyester, nylon and lycra that wick moisture from perspiration away from our skin to the outside of the sock. That’s why it’s important to look for ingredients such as polyester, nylon or other sweat whisking materials, whenever reaching out for socks. However, I am all about natural materials after all, they just feel better on my skin and I believe a huge part of you girls out there will feel this too. That’s why I always go for a blend. The BOMBAS socks for example are made out of the softest long staple yarns from the best cotton and merino wool producers in the world + polyester + lycra. They feel super soft, nice and light on my feet. Now, it all depends on your feet, you may be perfectly comfortable in cotton socks and never experience any discomfort when working out in the gym. However, the fact that cotton itself is not the friendliest fabric for working out and athletes all around the world wouldn’t recommend wearing pure cotton while performing any kind of fitness activity. But, we’re all different after all, and we all find comfort in different things. Trying is the thing you could do whenever you are not sure if something works for you or not. 2. Seams, Don’t Kill My Vibe! A sock can have the perfect materials and the perfect pads, but as long as the seams are poking your feet you can kiss the comfort goodbye. So, in the name of keeping the good vibes I always go for socks that have light and comfortable seams, or even better seamless athletic socks. Seams can cause blisters and discomfort, and you don’t need this in your sock drawer. However, we all have different feet and if they poke my feet it doesn’t necessary means they’ll poke yours too. So, whenever in doubt, try it out. Which type of sock you choose depends on your personal preference. We’re all different and we can’t argue about it. Thick socks usually have pads and more support in the ankles, heels and toes. However, thicker socks are better for cooler season, while thin socks feel much better and lighter in the summer season or for people who just can’t seem to cool their feet off, such as such as me. Now, here comes my favorite part – the length and cut of the socks. If we ask Arctic Monkeys they’ll say we should go for the “Knee socks” and they’re usually designed with gradual compression, which improves blood flow to the muscles, they lessen muscle fatigue and speed up the recovery. And it’s a fact that compression socks are great for runners, however I don’t really like them when it comes to the gym – they are just too warm for my taste. I like my legs naked while working out, that’s why I usually go for no shows or ankle socks in the summer, and calf rise in the winter. 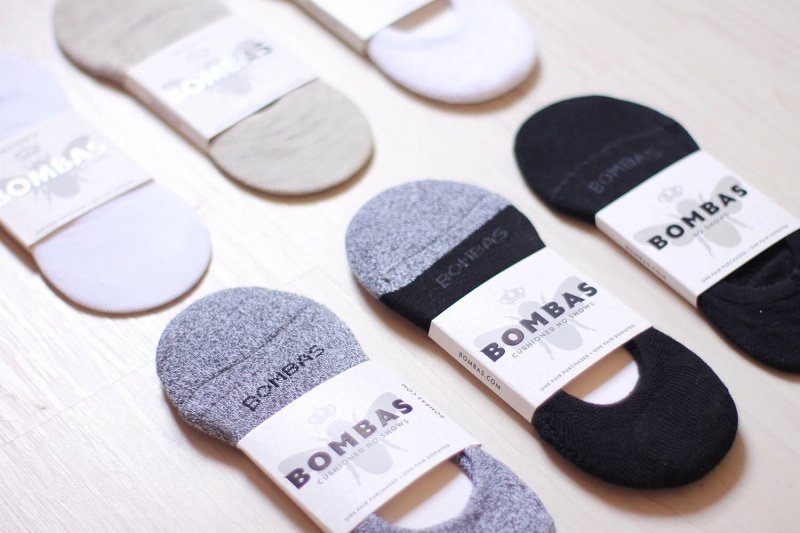 And Bombas have a huge range of everything, so make sure to check them out. 5. Pads Or No Pads? Now, pads are something you should consider whenever buying socks. Padded socks usually add up on the material, but they provide effective protection against the common pressure points. It all ends up with what you prefer better, however proper women’s athletic socks should offer at least a small degree of cushioning at the impact zones. Especially when it comes to running socks, pads are a must. Always make sure to pick out the right size for you. Same as with sneakers, you should be careful when choosing the size of your socks too – they must be a perfect fit. If not, you’ll either end up with too much material rubbing against your foot causing blisters, or even worse overstretching them and restricting the movement of your toes. Treat yourself with a pair of socks, and you’ll see the difference yourself. Maybe socks are not the most important thing when it comes to your fitness performance but, they are important to your feet and to your overall comfort. 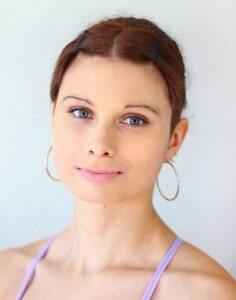 It’s always easier to choose cute active wear tops and bottoms instead, but you should consider getting yourself at least a few pairs of good quality women’s athletic socks, to make that workout more pleasant. Keep your feet safe and cool and don’t leave them out of the cool athletic club. They carry us around all day and we have to take good care of them. 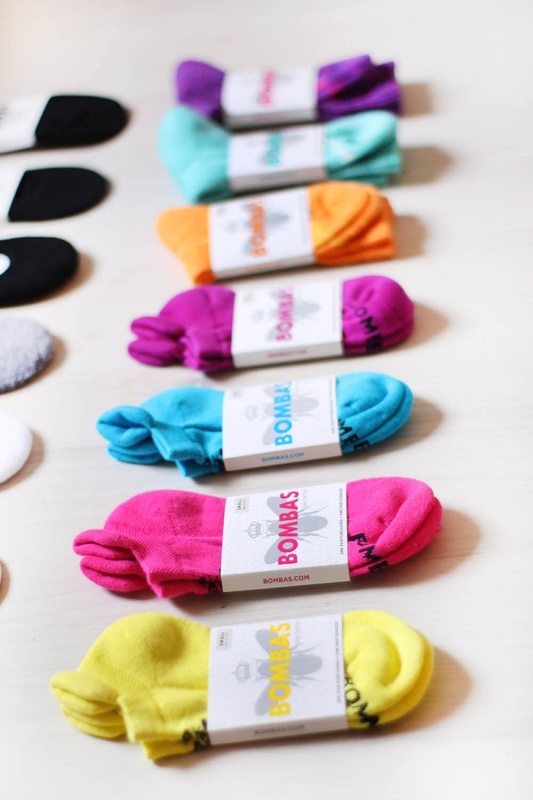 So, head on to Bombas.com and pick out your favorite pair and rock those socks! Don’t forget to share them with your friends – remember sharing is caring.